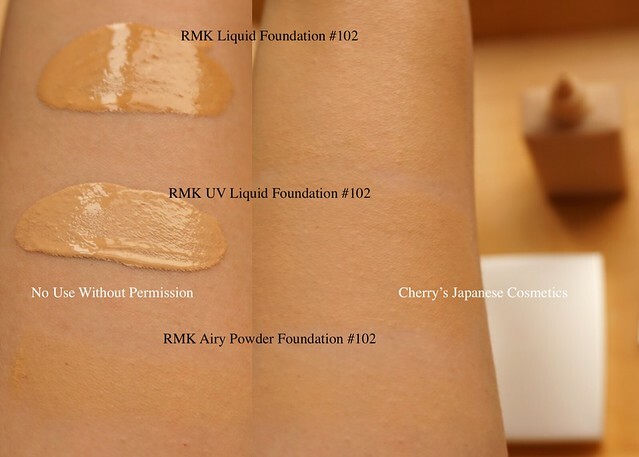 I got samples of RMK Liquid Foundation #102. 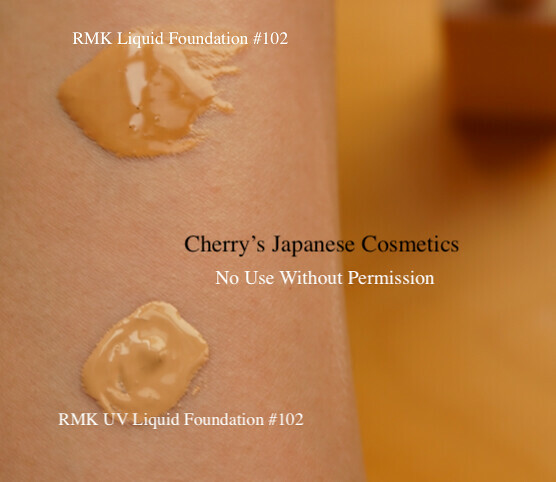 I also have a full bottle of RMK UV Liquid foundation #102 and small size of RMK Airy Powder Foundation #102. Let me show you the swatch and how I felt. It was shocking for me that to see the drops of these two liquid foundations in the same brand. I was surprised to seeing the shade of Liquid Foundation #102, I saw three times to see the shade number on the sample package is #102 to #103. It was truly #102. Applying on my arm, still Liquid Foundation is much darker — one or two tones darker than UV Liquid Foundation. And hope you can see the bottom, there is Airy Powder Foundation #102. On my arm, the blended shades are not big difference in the picture above, and also in my eyes. Deciding which foundations to buy, it is also important that covering, finish and lasting. 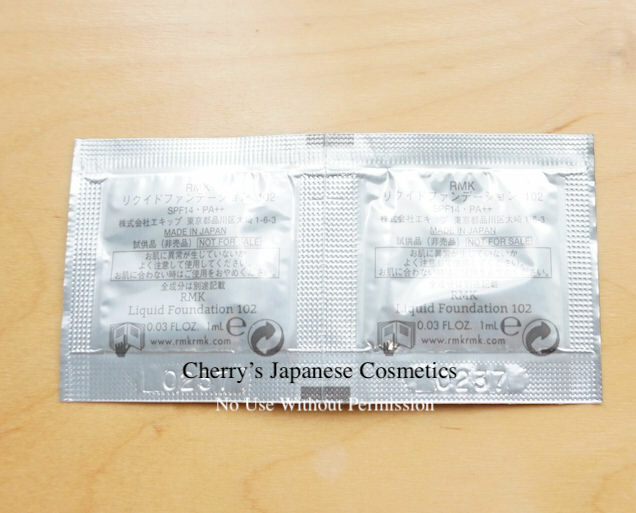 For me, the covering is medium, I guess it covers more than UV Liquid Foundation, and the finish is natural to matte, the lasting is fair, I felt. According to the BC of RMK, among RMK foundations, if you are looking for the covering, they recommend to use Gel Creamy Foundation, and when your make up is running by sweat and oil, UV Liquid Foundation is the best. Also, if your makeup is running due to the dryness, Creamy Foundation N is the best. Guess this Liquid Foundation is nice balance of covering, finish and lasting. Indeed, they do not change the formula for years, as I remember it is more than 10 years, they do not change the formula of this Liquid Foundation. This is good foundation I admit, but I know there are many great foundations. Please order in our JPY Branch.